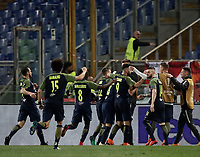 S.S. Lazio - FC Salzburg Olympic Stadium Rome, April 5, 2018. 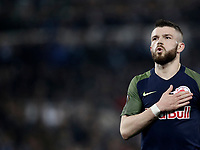 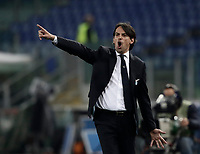 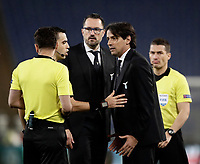 Lazio wins 4-2 the Europa League match between Lazio and Salzburg at Rome's Olympic stadium, April 5, 2018. 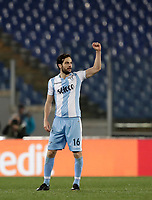 Goals by Senad Lulic and Marco Parolo for Lazio team and Valon Berisha for Salzburg team in the first half time. 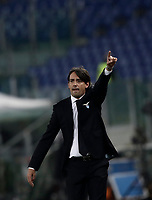 Goals by Salzburg's Takumi Minamino and Lazio's Felipe Anderson and Ciro Immobile in the second half time.